Alien saucers attraction – The famous little green aliens from the movie will take guests around for a spin in their very own flying saucers as The Claw looms overhead. From what I understand, some of the foreign parks have something similar there. 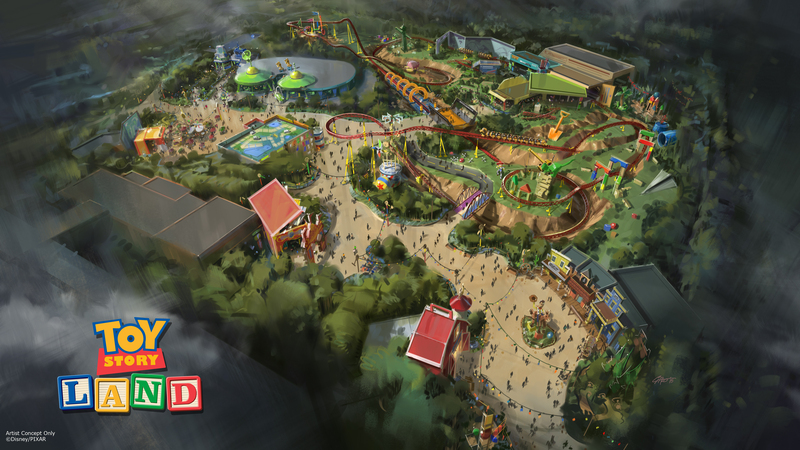 It's about time that we got a Toy Story Land here, then. Even though this looks like it's meant for a younger audience, HS really needs some new stuff, period. VIDEO: Leaked Footage Shows Slinky Dog Dash Coaster in Toy Story Land Being Tested! Opening day: June 30, 2018!